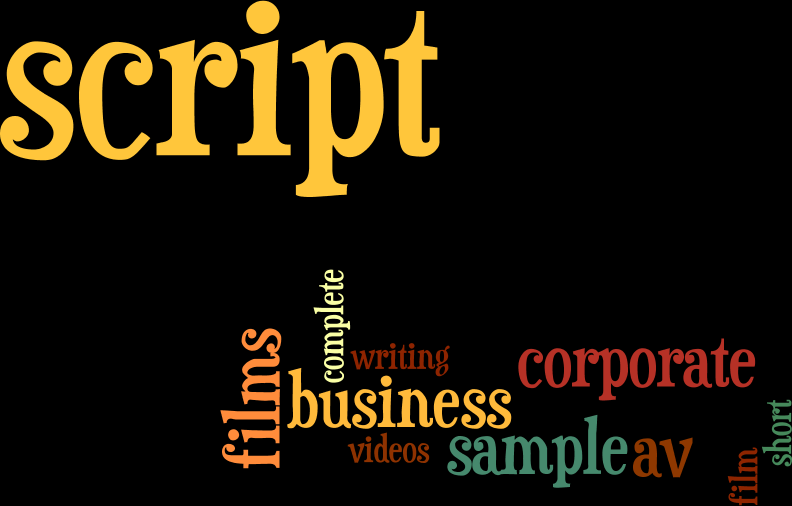 Here is an sample of a corporate film script. As corporate film making company in Mumbai, we regularly produce and direct corporate videos for various business houses. You can read our complete guide on corporate film making. Here is the sample script for Prevail Casting Pvt. Ltd.
Vo: Spread over an area of 46,000 sq ft in the industrial town of Shaper near Rajkot city; India. 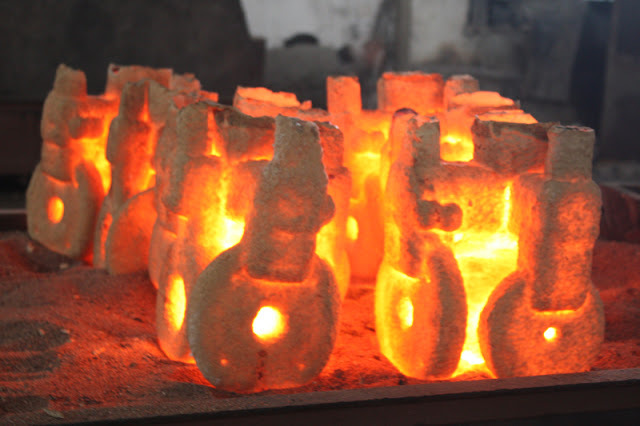 Prevail Casting Private Limited is a leading manufacturer of investment casting by the lost wax process. Starting out with a modest capital of three and half lakh rupees Prevail Casting Pvt. Ltd. has made giant strides in the field of investment casting. Over the years the company has steadily expanded its capacity to over 75 tones a month. 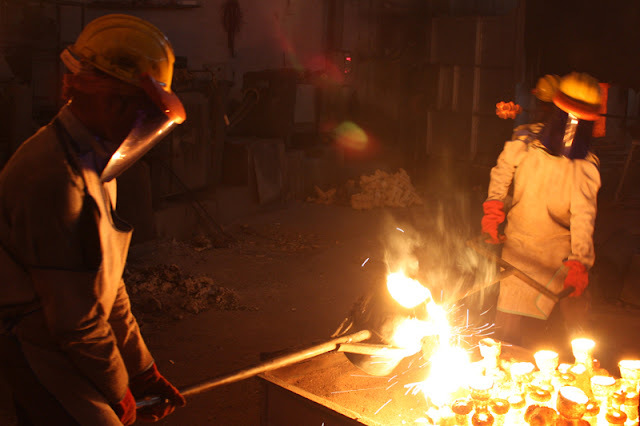 Its matchless expertise and leadership lies in the years of experience the company has had in the production of investment casting. Since its establishment in 1991 it has serviced over 500 clients worldwide. It’s casting applications range across a wide variety of industries from automobiles, food processing units to textile machinery, defense equipments, pumps, chemical safety valves and even human implants. A wide open shot of the morning sky revealing the exterior of the factory. Landscape shots in and around the factory. VO : Super : why investment casting? The Investment Casting process provides incredible design flexibility, high dimensional accuracy, numerous material options and an excellent surface finish. 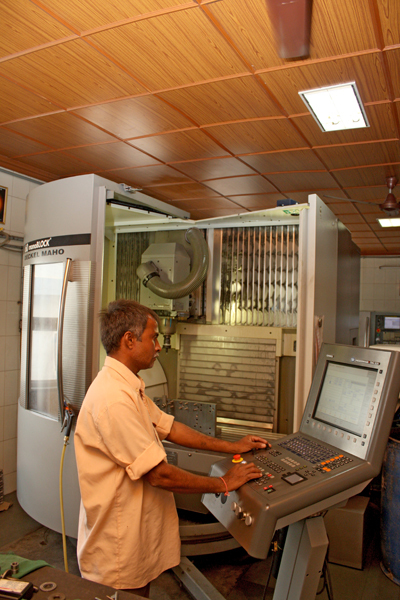 It not only helps in lowering tooling cost it also enhances life of tooling. 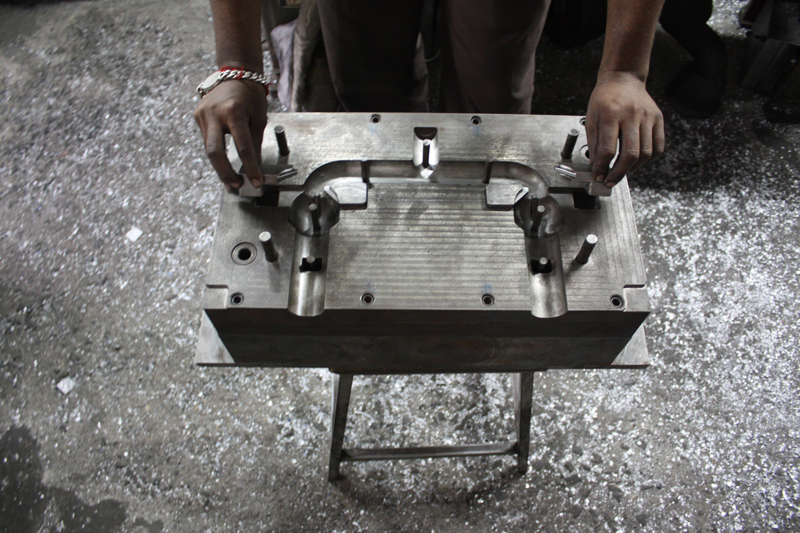 Best of all that Investment Casting is more cost effective than traditional casting methods. The process typically starts with a 2D version of the design given by the client which is converted into 3D. The 3d design gives a virtual view of the final product. Once the designing is done all critical studies like Assembly design, tool design, process material selection and Production planning and control are undertaken. The marketing department then sends a quotation to the client and only when the quotation is approved the final design is sent to the die making department. Designer making a 3D design seen on the monitor. 3D movements of sample design on computer. Vo: Die making is very crucial to an investment casting process. It is a critical stage right at the beginning of the process involving the use of some of the most sophisticated technology in order to obtain very precise results. The die making facility at Prevail use the technologically advanced DMG Gleidemeister machines from Germany to make their dies. Considered a marvel of engineering and rated amongst the top in the world, these machines are designed to cut out shapes and sizes that are highly intricate in nature. Design Data with proper measurements are then loaded on to a computer which guides the machine in die cutting. The ready die is to be taken to the die inspection room before the dies are sent for wax injection. Vo: The sample is once again closely examined for any rough edges and the measurements are carefully verified on a vernier scale for minutest variances. The die inspection room at Prevail has over 3500 Dies are marked and catalogued as per serial number. These are dedicatedly stored and maintained in case of repeat orders in the future. Various dies about 3500 of them kept in the die room, marked and cataloged as per serial number. Vo: Pattern wax or soluble wax is injected into these dies through wax injection moulding machines operated by highly skilled workers. Vo: The emerging wax pattern is then sent to the cleaning and repairing department where joint lines and marks removed. Gaps or unevenness on the wax pattern is either filled or smoothened out. The wax pattern is sent to cleaning and repairing department where joint lines and marks are removed. The wax pattern is then cleaned in a solution? Vo: Gates and runner are installed on the wax pattern to ensure even flow of molten liquid within the mould and also to prevent shrinkage during pouring. Vo: In order to build ceramic shells the assembled wax patterns are sent to the coating room where it is alternately dipped in a pre-coat slurry made of zircon flour and colloidal silica. After an interval of 3-4 hours, the shells are dipped in backup coat slurry made of the fused silica powder and colloidal silica. This procedure is repeated about 5-6 times with gaps of 3 to 4 hours. Temperature and humidity levels are closely monitored during this stage. These patterns are later left to dry in a special drying chamber. 3 days is the minimum drying time at Prevail due to its special coating process. Proper schedules of drying and coating are maintained by making periodic entries in the process lot card. VO: Once the ceramic shells solidify the assemblage is immersed in a hot tub of wax for de-waxing. Once de-waxed the ceramic shells are baked in a oven at over 1000 degree centigrade. Vo: The state of the art foundry at a Prevail casting has 3 operative crucibles for melting metal. Of which 2 of them have a capacity of 400kg each and one having a capacity of 150 kg. Before the pouring takes place a sample is taken out from the molten liquid and sent to the metallurgical lab for spectrometer analysis. The Metallurgical laboratory at Prevail ensures casting with consistent metallurgical properties conforming to customer specifications. The lab is equipped with a metallurgical microscope to store micro structure data on its systems for accurate results. Metallurgical control is thereby effectively done by systematic testing at pre and post casting stage. Post spectrometer analysis the sample is tested for its tensile strength. Only when the sample is found confirming to customer specific standards the go ahead is given for pouring. This molten is then poured into ceramic shells and later cooled in a controlled atmosphere. Once cooled, the gates and runner of the assembly are cutted out. Hammering machines, knocked out solidified slurry deposits insides of these moulds. Vo: The moulds are then sent to the heat treatment facility. Heat treatment improves the metallurgical properties of the casting products and also raises the levels of mechanical properties of the casting products. Vo: Shot blast is then done to smoothen the texture of the casting product and further clean away tiny slurry deposits. Vo: Next the gates on the casting sample are further removed on the conventional and highly precise machines. Vo: Fettling is done by using high end pneumatics help in grinding away roughness or any unevenness in texture. It also immensely improves surface finish of casting products and cleans the slurry. Vo: Sand and glass bead blasting is done mainly on customer specification. It is done particularly to give a long lasting superior finish to the casting product. Vo: Prevail casting is one of the few foundry’s having facilities for machining and tooling which are done on the high end DMG (Deckle Maho) machines thus making it a once stop shop for all casting requirements. Vo: Inspection and testing includes 100% visual inspection, dimensional checks and non destructive examinations. In case of any rework, the sample is sent back to fettling department for further correction. Only after ensuring every quality aspect with the customer the castings are duly packed and transported out of the factory premises to its customers. Vo: Our entire process flow is operated and monitored through ERP systems. Engaging ERP systems in our company has enabled us to plan effectively and co-ordinate efficiently amongst our various departments. This ensures smooth management of our equipment, raw and process material and man-power, the 3 main elements of our production process. Through ERP we have managed to not only minimize process losses but also maximize potential and resources, giving us a crucial cost advantage over our competitors especially in these times of rising input costs. "Through this video we would like to mainly showcase the process, the sophisticated technology and the high end machinery that is put to use, the stringent quality standards we adhere to and the delivery deadlines we rigorously follow to supply to our esteemed clients an optimum end product.."
All raw material and process material are of standard specific quality and approved only after thorough inspection. Our tools are thoroughly checked and examined before and after the production run. All critical studies are carried out before the first bulk is produced. We ensure 100% inspection of wax patterns in process. Our company process has been certified for ISO-9001-2008 by RWTUV Germany. Our numerous quality certificates bear testimony that when it comes to quality we tolerate no compromises.